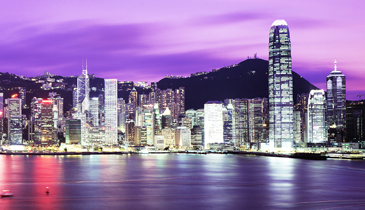 Hong Kong is a perfect destination for everyone. See inspiring skyscrapers, witness the most modern lifestyle, enjoy the exciting nightlife, explore ancient traditions, relish delicious cuisines and indulge in addictive shopping! Hong Kong is so full of delights with numerous lifetime experiences. Catch on the year round events and gorge on super fascinating culinary delights that make Hong Kong to be known as Asia’s top culinary capital. Welcome to the ever enthusiastic Hong Kong. On your arrival at Hong Kong Airport, meet our local tour representative at the specified area who will assist you for your transfer to the hotel. Check in at your hotel and relax. Remaining day is at your leisure. Today you can spend the day on your own pace exploring the city. You can visit the Shopping area nearby hotel to grab various mementos for your loved ones. Later return to the hotel and relax. Wake up to a vibrant morning and enjoy an extensive breakfast. Later get ready for Hong Kong City tour which includes visit to Famous city attractions like- Victoria Peak (Top-Level) & Harbour Front Promenade. There after head to the age old Jewellery factory, a souvenir shop. Further visit Aberdeen Village Aberdeen Fishing Village, the exclusive home town of fishermen where you can enjoy charming views of fishing boats, yachts and boat houses (Sampan Ride Is Optional- to be Paid Extra, directly by the Guest). After City tour, our tour representative will drop you at Tsim Sha Tsui shopping area to explore the local market and to buy gifts as a souvenir for your loved ones. Return back to hotel by own. Charge with an extensive morning breakfast at the Hotel. Remaining day is free at your own leisure. We suggest you to spend the day to enjoy a tour to Ocean Park (at an additional cost). Ocean Park is South East Asia’s largest Water & Adventure Park that features various marine and mammal exhibits, thrill rides and exciting shows. 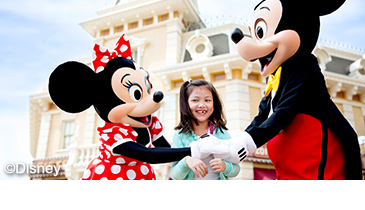 It is the first Asian winner of Applause award, the most prestigious award in Amusement & Theme park industry. Ocean Park tour will fill your day with wonder, pleasure and excitement & reward you with satisfying memories. Various Food joints are available in Ocean Park like- The Bakery, Panda Café, Bayview Restaurant, Terrace Café and Café Ocean to sit back and enjoy your meal. After spending a memorable day, return back to hotel and sleep relaxed. Spending a holiday in a place as charismatic as Hong Kong is such a delight! Relish an extensive breakfast and spend the day at your own leisure. Experience the modern and cosmopolitan lifestyle and barge on some great shopping avenues. Or you could also opt for Ngong Ping Cable Car, a spectacular ropeway to Lantau (at an additional cost). Ngong Ping Cable Car is one of Hong Kong's 'must see' attractions with the majestic Tian Tan Buddha and enticing Po Lin Monastery. After a wonderful day on your own in the benevolent city, return to the hotel and snug in your cozy bed. Enjoy a relaxed morning. Seep in the holiday feel to the max as tomorrow’s morning is going to be back at home and your daily routines will be back. Take an extensive breakfast at hotel and check out from the hotel. However, the day ahead is free and you can go out for some more shopping or sightseeing, whatever you prefer. In the evening, catch your transfer to the airport to board your return flight to Delhi. We hope that you had a memorable holiday at Hong Kong and wait to receive your feedback on your return.